*As Seen on The Crystal Press On Monday, Catherine showed off her new Zappos x Shopstyle pieces and the versatility of an awesome LNA Maxi and now its my turn! 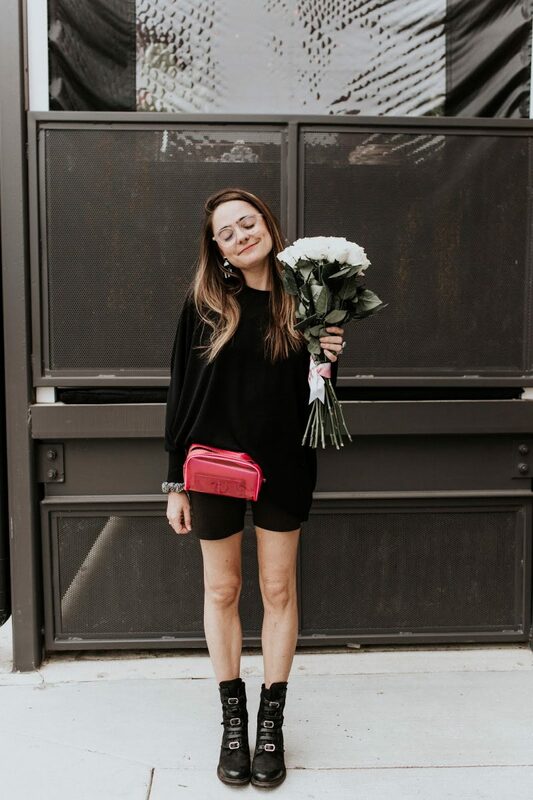 Along the same lines, I chose pieces that I knew I would wear over and over again and can become staples in to my day-to-day outfit rotation. Every girl needs that perfect pair of boyfriend jeans to throw on to go to the movies, or out for a day of festival hopping and I found these Levi’s 501 Tapered pair to be the perfect fit for me! Basically every single piece in this outfit is a staple and thats what I love about each thing and also why I can always count on Zappos to have what I’m looking for. For the most part, I like to stick to pretty minimalistic style and add a fun twist when it feels appropriate. In this case, the Splendid Jaylen Heels take this Blouse + BF Jeans outfit from day to night with ease! Catherine and I are also lucky enough to be able to share shoes, which is truly a game changer! We both wore the Birkenstocks and the Splendid shoes with our Zappos Spring Picks and we chose them for that reason. We knew we could both put them to good use this Spring, and we know this won’t be our first shoe-swapping adventure. Head to Zappos to find some new basics, or that fun top you’ve been dying to add to your night-on-the-town looks!